Almost 6 months into Donald Trump’s presidency, there are many unanswered questions regarding the present state of affairs in America. Among the most daunting questions is what will happen in the United States in regards to healthcare. The phrase "your guess is as good as mine" comes to mind. 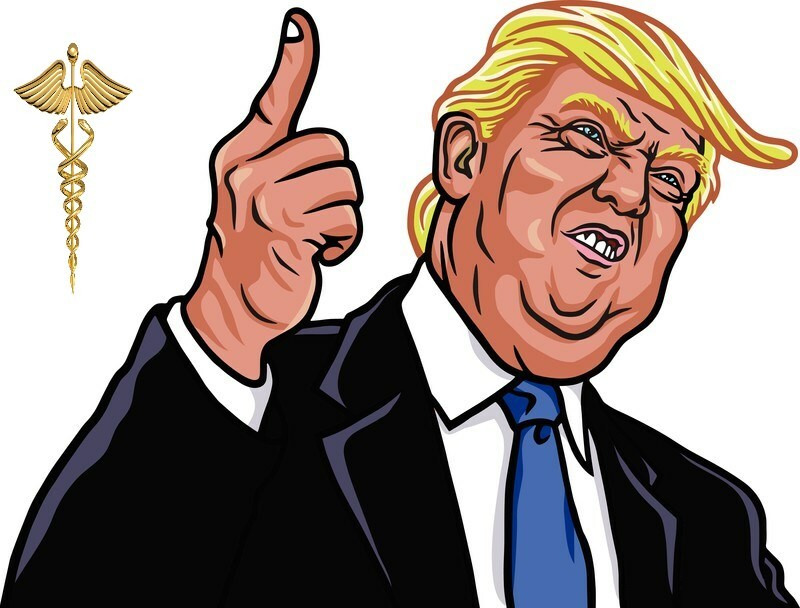 In this article, Trump’s administrations effect on urology practices will be discussed. At the top of President Trump’s proposal to balance the United State’s budget is significant cuts to grant funding for scientists. While Congress ultimately reversed Trump’s cuts to the National Institutes of Health for 2017, it remains to be seen whether the agency will have limited funds for 2018, as Trump proposes. In 2016, $506 million were awarded to researchers for the study of urologic diseases. In 2017, $522 million is estimated to be used towards urology research. For 2018, Trump hopes to slash $5.8 billion in funding from the NIH, which could dramatically affect research towards urological developments, particularly for prostate health and urinary incontinence. A major promise throughout President Trump’s campaign was the repeal of the Affordable Care Act (ACA), which provides people at or below the poverty line, as well as those with pre-existing conditions, an opportunity to purchase health insurance. While a satisfactory replacement for the ACA has not yet been introduced into Congress, a repeal of the current ACA could be both good and bad for urology practices. The ACA has mandated numerous regulations that some physicians believe have hindered their ability to maintain a close relationship with their patients, particularly due to cumbersome electronic paperwork. Removing this regulation – as well as others – could lead to a more direct connection between patient and physician. Additionally, deregulation could provide the opportunity for medical companies to promote their products in new ways and with fewer stipulations. The overall result could be enhanced technology from private firms as well as more patient / doctor interaction. On the other hand, the Trump administration’s proposals could potentially leave millions of Americans uninsured, meaning that fewer patients would be able to afford preventative care and procedures for non-life threatening disorders. Therefore, fewer Americans would be able to receive preventative prostate exams or expensive urodynamic tests for diagnosing disorders such as pelvic organ prolapse, stress incontinence, urge incontinence, pelvic pain, and difficulty urinating. As a businessman, President Trump has promised fewer regulations in health care, particularly the pharmaceutical industry, which could trickle over to medical devices. For urologists, the deregulation of medical devices could result in more affordability of implants such as transvaginal meshes and similar items. Additionally, deregulation could reduce the amount of paperwork that needs to be performed, saving urologists time and money. For some physicians, this would be a welcome change under the Trump administration. 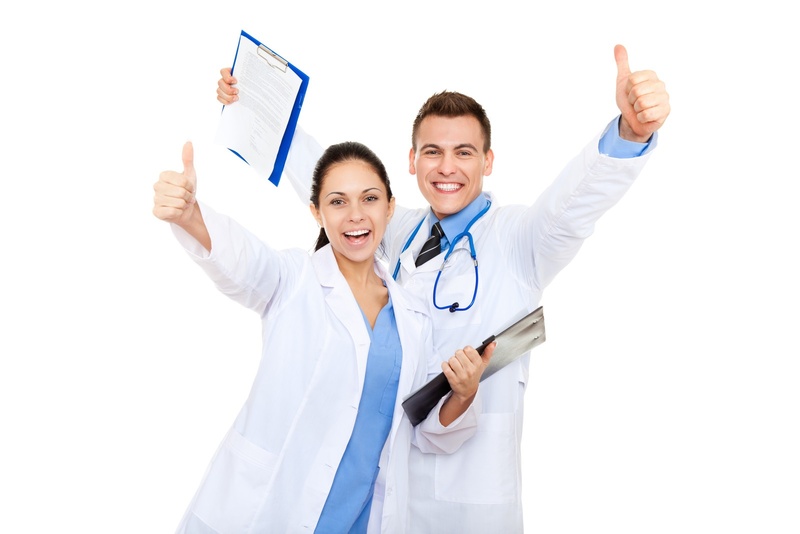 The US Preventative Services Task Force (USPSTF) was formed to serve as an independent panel of experts to review the effectiveness of clinical preventative services. In May 2012, the USPSTF recommended against the screening of prostate cancer with prostate-specific antigen. There has largely been concern regarding the recommendations of the USPSTF and the manner in which it has justified limiting access to routine preventative care. In January, the USPSTF Transparency and Accountability Act of 2017 was introduced to Congress and is backed by the American Urological Association, Large Urology Group Practice Association, and Association of American Colleges and Universities. With a dramatically decreased focus on regulations and government spending by the Trump administration, this act is likely to be approved, with the possibility of the USPSTF being dismantled entirely. 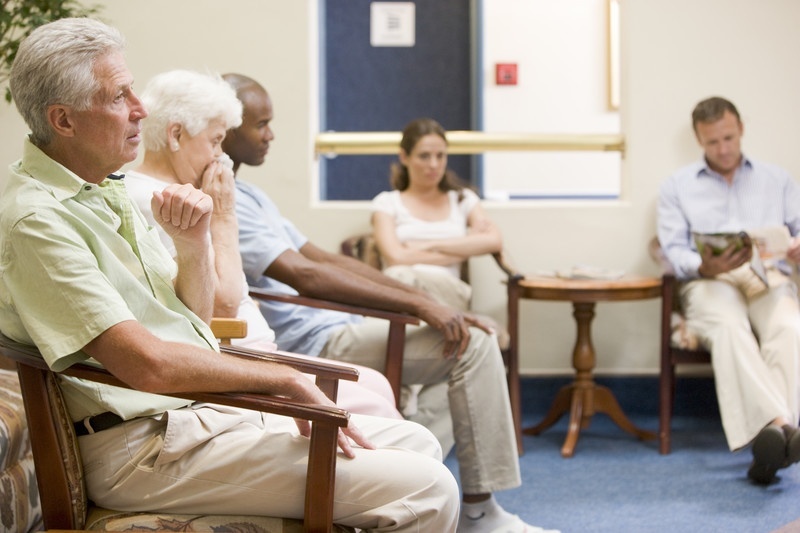 For urology practices, that means a return to annual prostate cancer screenings as well as fewer hesitancies among patients for preventative care. Many physicians have wondered what effect – if any – the Trump administration will have on the Medicare Access and Chip Reauthorization Act (MACRA) that was enacted in 2016. Bipartisan support of MACRA does not take into consideration the push-back from doctors, which are concerned of its consequences. For instance, a doctor shortage crisis is likely, due to the exodus of doctors from Medicare, as well as due to the struggles caused by implementing this law into independent urological practices. By 2018, half of a doctor’s fees will be directly tied into quality of care and outcome measures, with eventually 90% of reimbursement to be linked with these measurements. 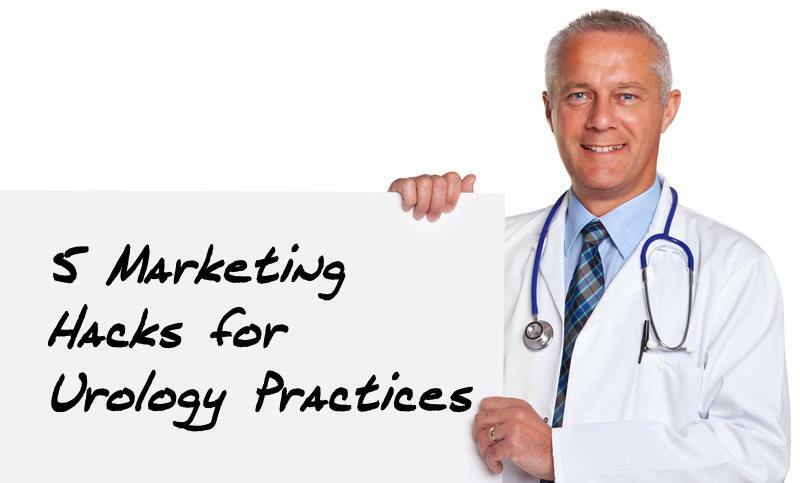 For urologists, who treat patients with disorders that are not widely understood and for which treatment outcomes can be unpredictable, MACRA has potential to be extremely disruptive. Many urologists hoped that Trump would approach MACRA with the same repeal goals as were promised for the ACA. However, Seema Verma, the Trump-appointed director of the Centers of Medicaid and Medicare Services has openly supported MACRA and even applauded Congress for its enactment. Ultimately, there is little hope for urologists that MACRA will be repealed by the Trump administration. 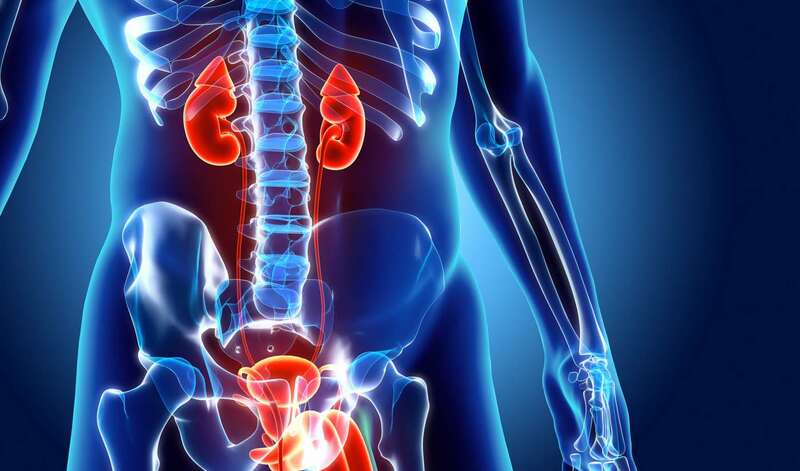 Despite their prevalence among the aging population, urological disorders are among the most commonly misdiagnosed diseases. 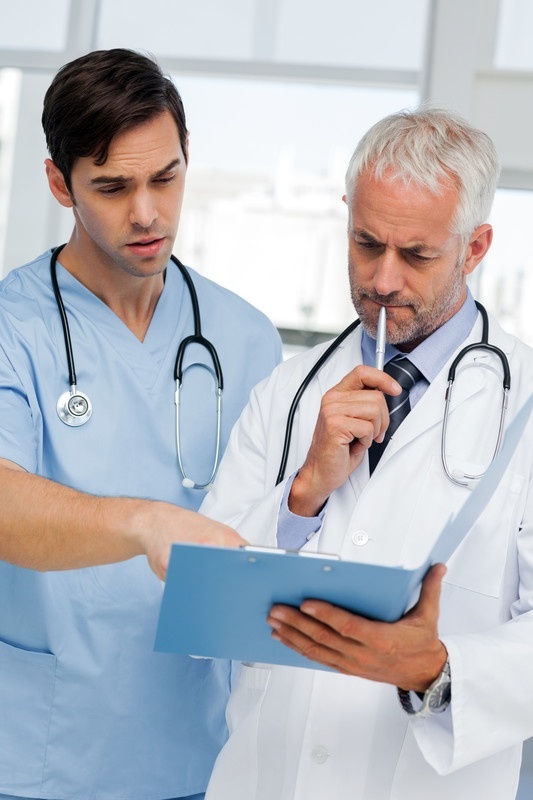 Here, five of the most prevalent urology misdiagnoses will be discussed. Pelvic organ prolapse1 is one of the most common urinary disorders among women, as well as one of the most commonly misdiagnosed. This disorder occurs when a pelvic organ prolapses from normal position and pushes against the vaginal wall. 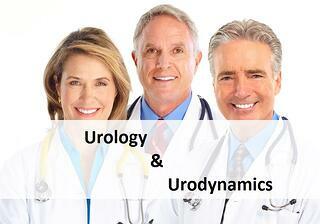 We are in the market daily talking to practices that utilize urodynamics. We regularly encounter practices that have a large backlog of urodynamics patients waiting to be tested. Just this week one large urology practice approached us about their problems with a three month backlog of urodynamics patients. Backlogs often occur because of staff and/or equipment issues. We were able to craft a solution to eliminate their backlog quickly and efficiently, and we thought it would be prudent to write about it. 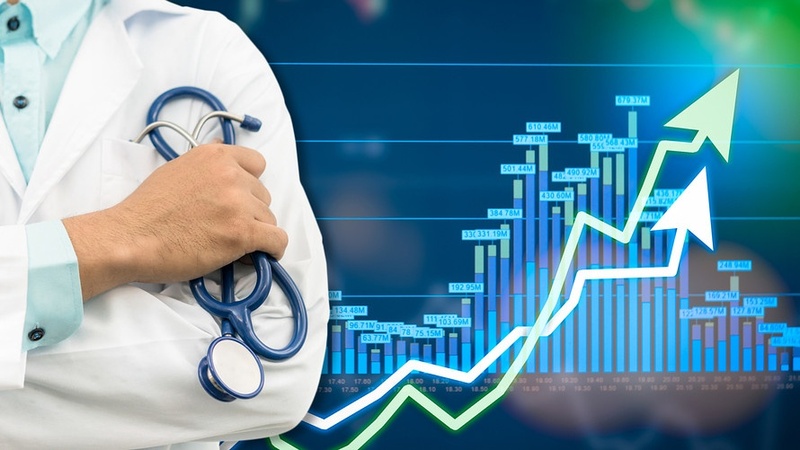 Reduction in Medicare contract payments and decreased physician reimbursement from insurers are causing decreased physician salaries, medical profits and general revenue. 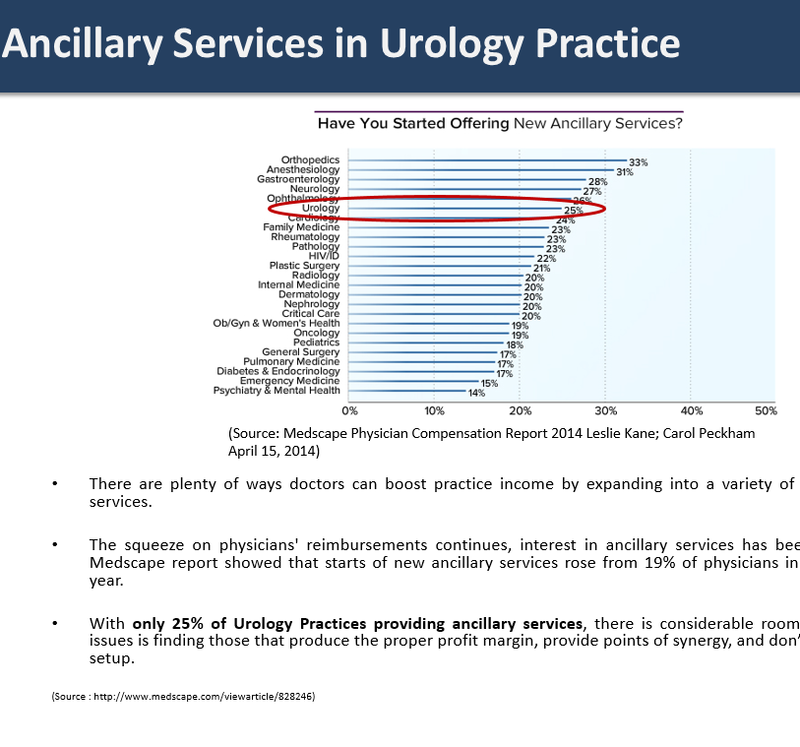 This is driving the desire for urology practices to add ancillary services - and this is a good thing for patients.